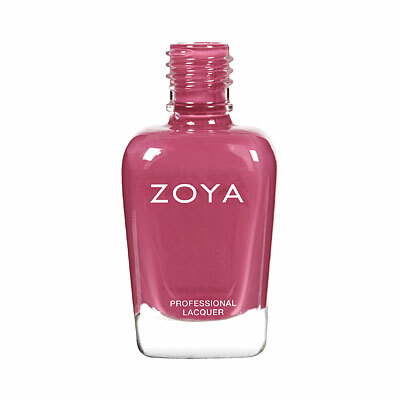 Lola by Zoya can be best described as an ultra-bright fuchsia with a slight blue-violet duochrome shimmer. 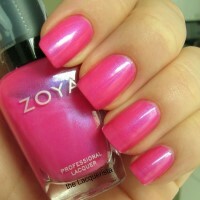 Lola is a gorgeous color! 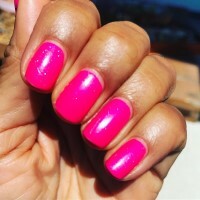 Bright neon pink, with a hint of blue shimmer. Reminds of "Barbie Pink". I get a lot of compliments when I wear this color & it makes me happy. The only reason I gave Lola 4 starts instead of 5 is because I have to put 4 coats on to build it up to full opacity. If it was 2, maybe 3 coats or less it would be a definite 5 star polish. Great for summer!! 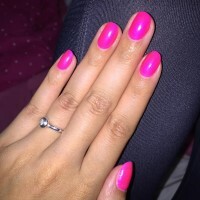 This looks like a PERFECT SHADE for summer! Just bought TWO bottles! I look forward to having matching pedis with my girlfriend, Haylee. 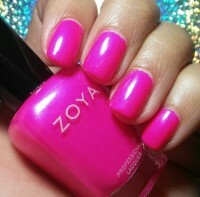 Zoya Nail Polish | LolaLOVE!! 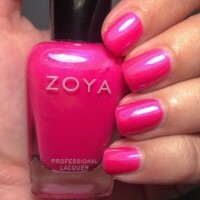 This is my first Zoya Polish and I LOVE IT!! It went on so smoothly and I love the color. Looked almost matte at first but when I put a top coat on it, it looked amazing. 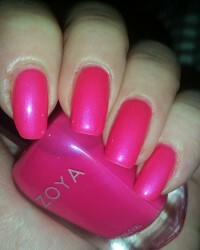 I will defiantly be purchasing more Zoya polishes. HOT... Most requested color by my clients. 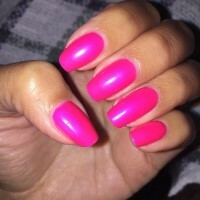 I love this color for the summer. 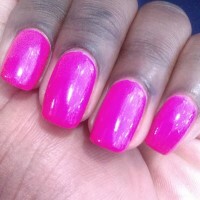 It is bright, but not overly done.This is my favorite pink shade along with Trinity. Really looks nice with a tan. 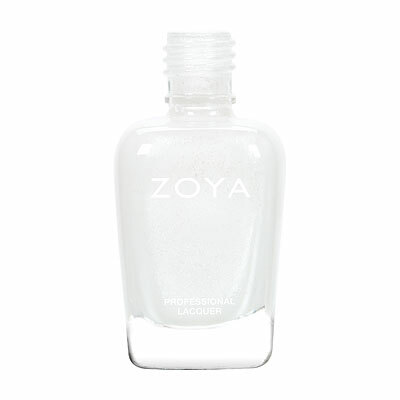 Gets your manicure and/or pedicure noticed! 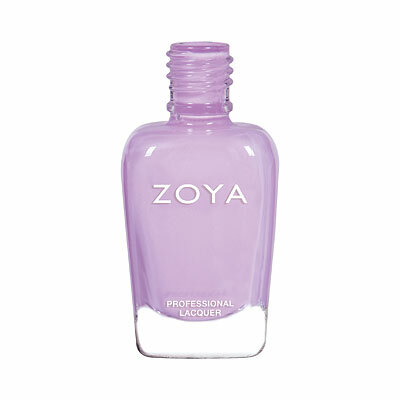 Zoya has the best polishes!! 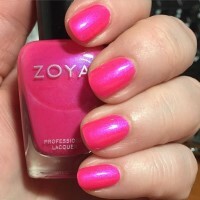 Zoya Nail Polish | LolaWOW! This is absolutely stunning! I had no idea how awesome Lola would be when I ordered her. Yes, she does appear a little matte when you apply her, but a top coat makes her stand out like you wouldn`t believe. I have received many compliments on this one. 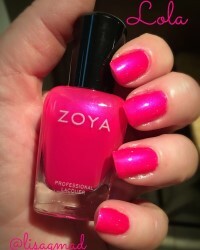 Zoya Nail Polish | LolaLOVE! 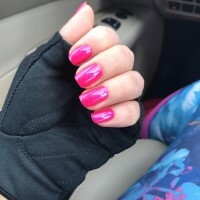 I have never had so many compliments on my nail color. 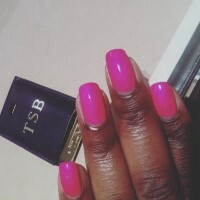 Its my staple summer color. 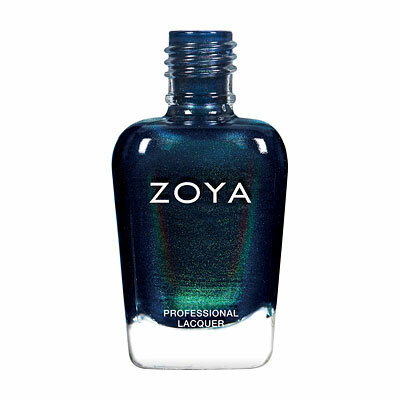 This is pretty, but the blue duochrome hardly shows up. It looks matte from most angles. 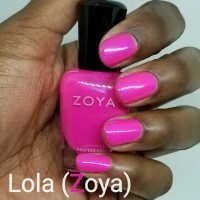 Zoya Nail Polish | Lola Love Lola! Love, love, love Lola! 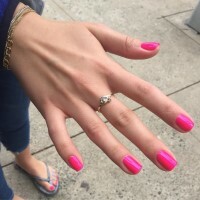 Hot pink, very pretty and eye-catching. Looks great as a pedi, especially with a tan. My hubby even noticed this one saying, wow I like that! I like it much better than Lillith which has more red undertones. Lola is pink. I have a warm skin tone and it still looks great. Will definitely need a backup bottle. 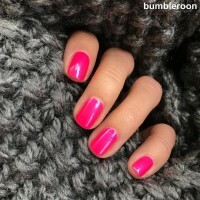 I`m absolutely in love with this color. 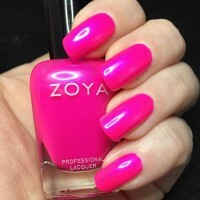 It`s bright, neon pink, perfect for summer or for people who love to wear extremely loud nail polish. It`s a semi-matte finish, but the slight blue shine gives it another interesting layer. Definitely not boring! This is a hair darker than Kiki. Of course this one has a blue duochrome flash and Kiki just has the medium sized silver shimmers. This is like an "amped" up version of La Positively Hot.